To improve transit and public access to the Lake Street Business District along I-35W, MnDOT undertook the 35W at 94 Downtown to Crosstown project. The project required replacement of the Franklin Avenue Bridge, which carried communication conduit over I-35W. Once new Precast Bulb T-Beams were set in place, there was limited space to safely strip the deck forms from below due to the duct bank. 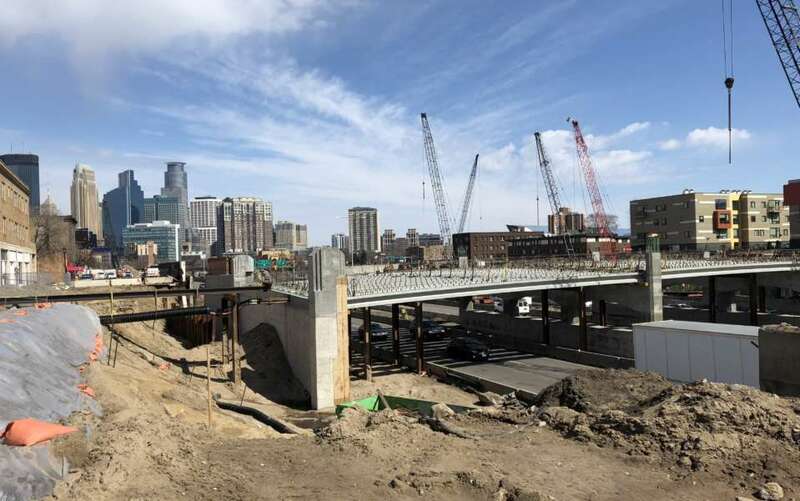 Lunda Construction and MnDOT contracted TrueTech Bridge for a stay-in-place form that would both accommodate the duct bank and enable long-term visibility. Existing communication conduit that could not be moved made stripping deck forms from below unsafe. Lane closures over I-35 also needed to be minimal due to safety and cost. 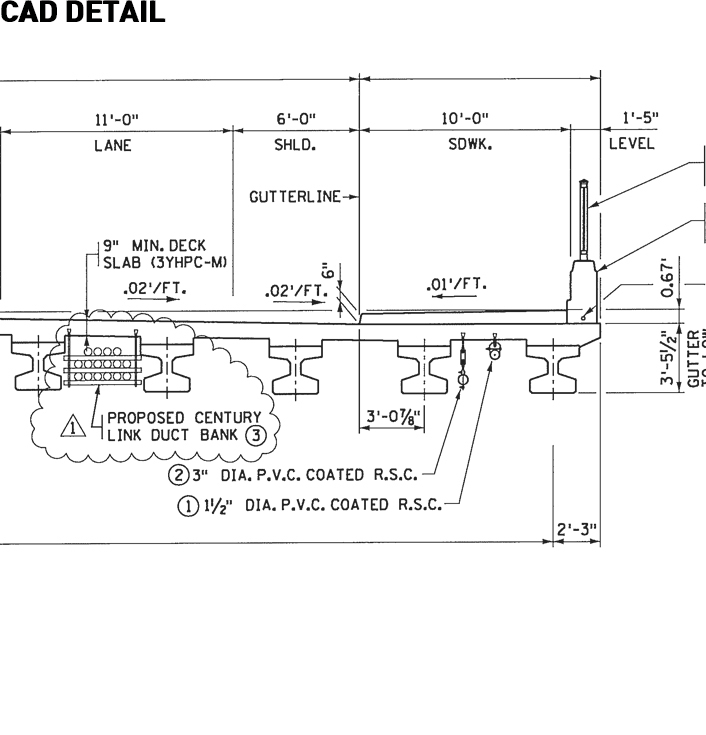 MnDOT required visibility to the underside of the deck for inspection purposes. Because of these tough site conditions, conventional stay-in-place forms (corrugated metal or precast) were not an option. After a successful deck pour, both MnDOT and Lunda Construction were pleased with the performance of ClearCast Forms and the service provided by TrueTech Bridge. Photography © Burleigh Bodart, Susan Fleck, Chad Jackson, Joel Lassiter, Bryan Moberly. Photography © Burleigh Bodart, Susan Fleck, Chad Jackson, Joel Lassiter, Phil McClain.